Halloween’s Decentralized Dance Party Boombox Bananza Was The Ultimate. Absolute Banandemonium as we Took Vancouver By Storm and Partied a lifetime’s worth in one ridiculous evening! 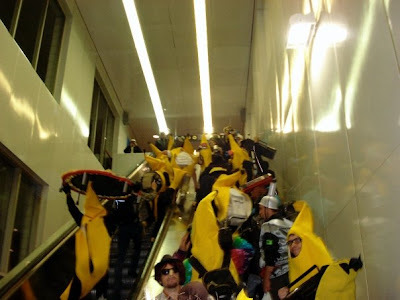 Big thanks to all who participated and Translink staff for being so agreeable and allowing such Bananarchy! Photos and video soon to come! This entry was posted in The Third Ever. Bookmark the permalink.